Happy Friday all! 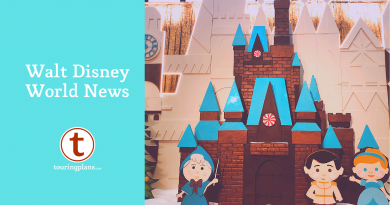 I’m back again with a quick update of important news that may impact your next Walt Disney World vacation. Take a look! Spotted hyenas are beginning to be able to be seen on Kilimanjaro Safaris. On November 19, at Disney’s Hollywood Studios Guests will have the chance to vote on five to six videos for America’s Funniest Home Videos inside of Premiere Theater at 10:30 a.m. and 11:30 a.m. Guests participating will need to be at least 9 years of age or older to vote, and all Guests who vote will receive a free AFV t-shirt. Guests may have the opportunity to see the new scene for Star Tours beginning early next week, though it will officially roll out on December 1. 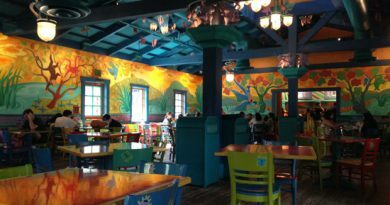 Beginning December 4, children ages 3 to 12 will be able to experience new Children’s Activity programs at Lilo’s Playhouse at Disney’s Polynesian Village Resort and Sandcastle Club at Disney’s Beach Club Resort. Young Guests will be able to enjoy several new activities including cooking classes, zany lava experiments, enchanting character interactions and dinner.